The man who shot and killed 12 people and injured eight others Monday morning at Washington Navy Yard had sought treatment from the VA but failed to show up to health care appointments and evaluations. 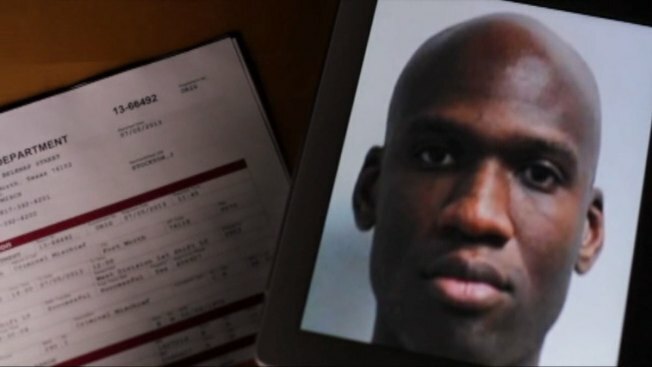 According to Veterans Affairs, 34-year-old Aaron Alexis visited an emergency room at the VA Medical Center in Providence, Rhode Island Aug. 23, complaining of insomnia. He was given medication and told to follow up with a primary care provider. Five days later, he asked for an insomnia medication refill at the VA Medical Center in Washington, D.C. He was again told to follow up with a primary care provider. According to VA records, Alexis said he was not anxious or depressed and had not thought about harming himself or others. Alexis had enrolled in VA health care in early 2011, and according to VA records, had canceled or skipped scheduled appointments for primary care and claims evaluations examinations. Alexis' mental health came into question when it was revealed he had contacted police Aug. 7 during his stay in Rhode Island, claiming he was hearing voices, wanting to harm him. Police had contacted the Navy regarding the incident, but according to NBC News correspondent Pete Williams, the Navy did not do anything with the report past the receipt of it. Despite this incident and a couple of other brushes with the law involving guns, the FBI confirmed Alexis had valid credentials to enter the Navy Yard Monday. Alexis had served as a Navy reservist and was given access and credentials to secret information in 2008. According to documents released by the Department of Defense, Alexis' credentials would have lasted him 10 years without another background check. When he began working as a contractor, he was able to retain those credentials. According to the Department of Defense, this is standard procedure for the government -- the only way the credentials would have gotten taken away from Alexis, or any other contractor with his clearance, was with a break in employment greater than two years.